The stray cockerel was found by a member of the public in Harthope, Ellington in Northumberland. The residential housing estate is miles away from any farm, smallholding, or allotments so it is unknown how the chicken ended up there. He said: “The chicken had been spotted in the area for a number of days and took up residence in the callers back garden. They canvassed their neighbours, put details on social media but was unable to find an owner so they contacted us for help. 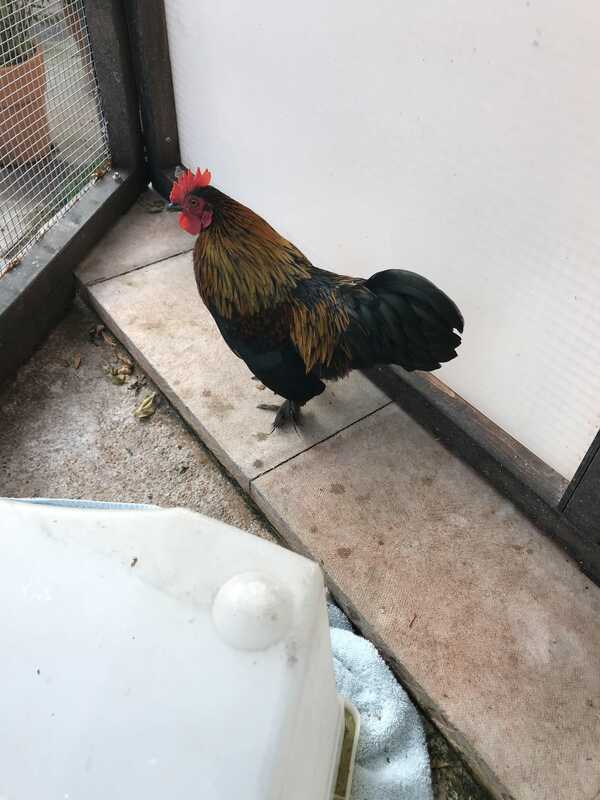 If you are the owner of the chicken, please contact the inspectorate appeal line on 0300 123 8018. The chicken has very bright coloured plumage and feathery legs. Before getting any chickens it’s important to consider if you have the time, resources, commitment, knowledge and facilities to care for them. In terms of housing they need a warm, dry and well-ventilated space and their house will need to be cleaned frequently and disinfected to control parasites. Food and water should also be provided inside the chicken house. Chickens will also need outdoor access which has cover such as small trees or a purpose-built shelter to give protection from the weather as well as wild animals. They should also have access to dry soil where they can dust bathe and forage.